Rebecca Sandoval grew up deeply influenced by social justice struggles of the 60s and 70s, especially the civil and human rights movement and the fight for an Equal Rights Amendment. 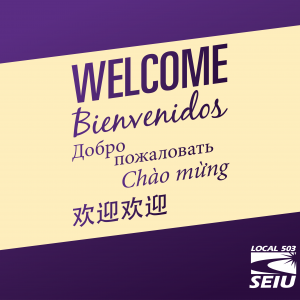 Having always looked for a way to be part of the larger movement for social justice, Rebecca felt she had found a home when she joined SEIU 503 shortly after becoming a homecare provider. 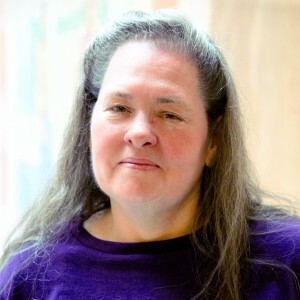 Now, as the statewide vice president representing Care Providers, Rebecca plays a central role in the fight for economic justice for all Oregonians. 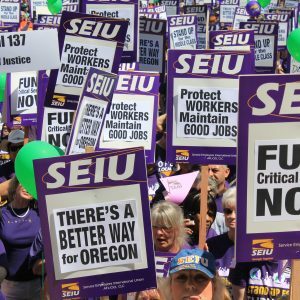 SEIU 503’s track record of winning for workers in Oregon is a source of great pride for Rebecca, who dreams of one day being a part of a progressive, proactive think-tank. 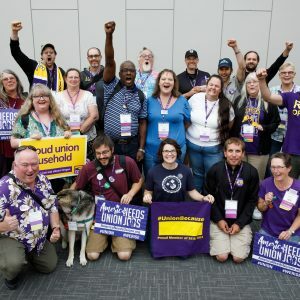 Rebecca counts herself among people who are truly living their dream, both through her leadership in our union and in the personal fulfillment she feels in being able to make a career of caring for her best friend.